Ineffective discharge management can jeopardize the successful completion of hospital treatment; but a well managed transition from hospital care to care at home depends on the efficient exchange of information with out-patient healthcare providers and professionals. This is just one way in which ICT can support healthcare and provide tools which help health professions to identify and communicate relevant data. Such tools will be increasingly important in future healthcare systems, and indeed a Europe-wide ICT infrastructure for information and data exchange may do much to revolutionize the quality of healthcare. It is therefore essential that infrastructures build on well-established standards such as Integrating the Healthcare Enterprise (IHE), even if this initially takes longer to implement. 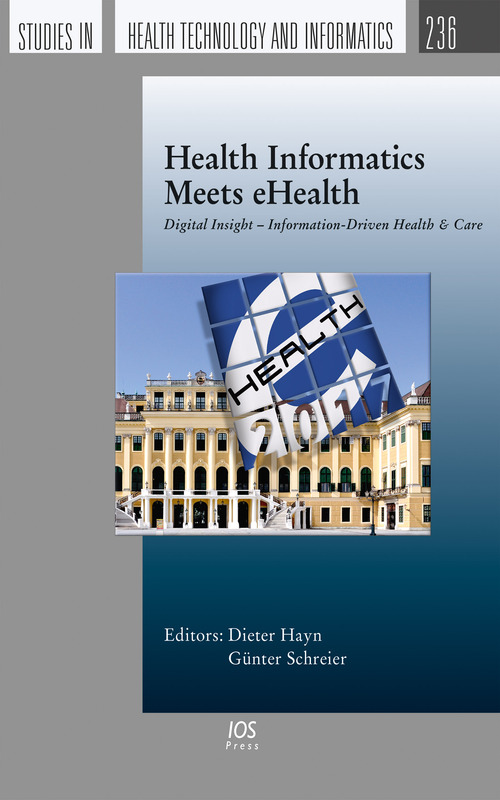 This book presents the proceedings of the annual Health Informatics meets eHealth conference, held in Vienna, Austria, in May 2017. The special topic chosen for eHealth2017 is Digital Insight – Information-Driven Health & Care, and the conference addressed the increasingly international focus of eHealth and the importance of cross-border health ICT. The papers presented here cover many eHealth topics, from maternity records to rehabilitation and from staff training to information exchange. Future ICT systems will inevitably involve machine learning and predictive analytics in order to provide actionable information to health professionals and support preventive healthcare concepts, and this book provides an insight into current research in health informatics and eHealth, addressing many issues central to the future of health and care. The book will be of interest to all healthcare researchers and practitioners.